In the beginning of the year I wrote that the time of Europe of unification has expired and the moment of a responsible Europe has come. "A Europe that is aware what and why it should do. It is aware of the implications, they are planned and expected. A Europe that is prepared to react in tough situations. In general, it is time for a new and different Europe after which nothing will be the same". In the end of 2012 it could be said that Europe has started sobering and to realise that the romantics of post-war unification has a price. And in that regard, the Nobel Peace Prize comes quite logical, bestowed on the EU for what the Union has achieved, for what it is doing right now and most of all for what is expected of it. In other words, 2012 is the year when the EU had to move to the second level - from securing and maintaining peace via tools from the 20th century to keeping its integrity via peaceful means from the 21st century. EU's swing this year was not that quantitative as in 2011 when a record high number of significant reforms were adopted enhancing the Union's economic governance, but instead it was of quality. For the first time since Maastricht, the EU made a small and hesitant but nonetheless a step toward completing the European construction. And that without touching the treaties (for now). 2012 is the year of big hopes and big disappointments - expectations for literally a quantum leap in European integration and landing to realities. Or, as Wolfgang Schäuble, the German finance minister, said on December 11th it is very dangerous to create expectations that we cannot meet. We have to be modest about what we can achieve and what not, he said at the decisive Ecofin when a painful compromise was achieved for the creation of a single banking supervision in the euro area. 2012 was also the year of the great fear from a possible break-up of the EU. Fear mainly of a potential loss of national sovereignty for the sake of the survival of the single currency, considered as something separate from national sovereignty and in the same time as a necessary evil. 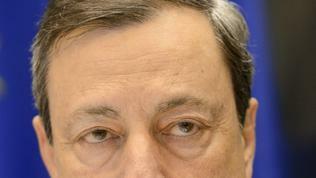 "Sovereignty is something that needs to be shared", said in an interview-review of the year for The Financial Times Mario Draghi, the European Central Bank chief. He is also the person who, according to a euinside Facebook poll, impressed most readers, although he is second to Angela Merkel. Mr Draghi quotes a Polish sociologist who became popular with his analysis of post-modernity and consumerism, Zygmunt Bauman, according to whom when you share sovereignty you don't actually lose it but you regain it. The countries with huge debt and deficits should understand, Mr Draghi says, that they have long ago lost their sovereignty over their economic policies in a globalised world. Working together in a stability-oriented union actually means to regain sovereignty at a higher level, he said. 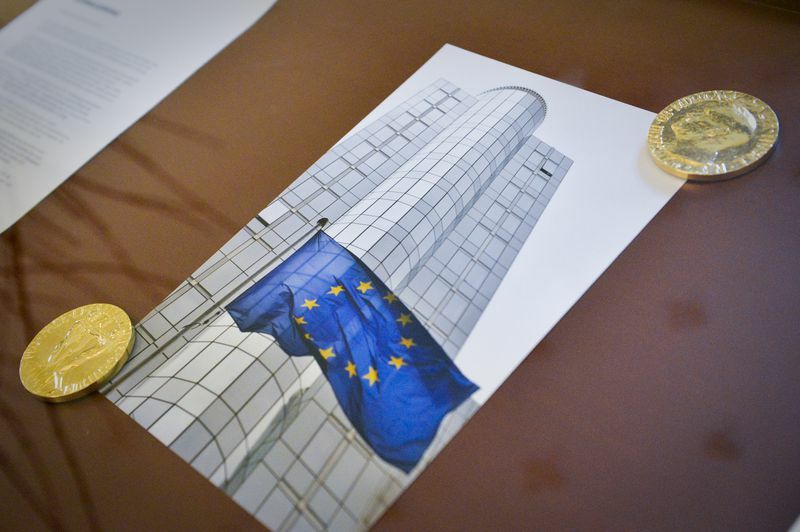 It is no accident that the analysts whom euinside asked in Bulgaria were also almost unanimous that the most important event of the year in the EU is precisely the deepening of integration and Mario Draghi's role in that process. Dimitar Ashikov, an economist, is of the opinion that the most important event of 2012 is the stated by the EU central bank readiness to provide unlimited liquidity to those in need. This has got it nearer to the Federal Reserve in the US, he explained. 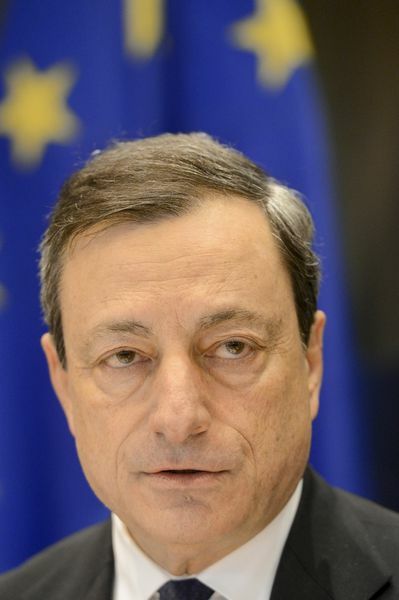 Draghi's interventionist policy is pointed as one of the most important events by the director of the Sofia office of the European Council on Foreign Relations too, Dimitar Bechev. He defined the laying of the foundations of the banking union because of the deepening of the integration, the direct operations on the secondary debt market, the centralisation, together with development of a "quasi fiscal capacity", as the birth of Eurozone 2.0. 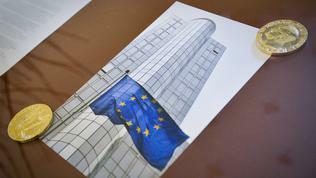 Vladimir Shopov, a political scientist, said that the most important event in 2012 is that that was the "year of the silent re-confirmation of the European project, as opposed to the constant talk about a crisis and break up. The process of assessment whether to move forward and under what conditions has ended these months and therefore we now have the contour of the future construction no matter how incomplete it is. This does not mean an end to the pain, the path is long and many rounds and battles are yet to come but 2012 is the year of the re-confirmed European perspective for the Union itself". For Vihar Georgiev, however, a doctor in EU affairs and a professor with the Sofia University "St Kliment Ohridski", the most important event is "the victory of the tale about the good, thrifty North and the bad, corrupt and lavish South. Politicians and media in the northern member states, especially in the Netherlands, Germany, Denmark, Finland, trumpeted around that tale and the electorate believed in it. The consequences will be long-term. First, the sense of solidarity between the North and the South in the EU is seriously damaged. Second, the EU's fiscal policy oriented towards spending cuts without adequate measures to be taken for economic growth. The result will be long-term unemployment, structural problems and political instability". 2012 was on the verge of ending miserably. If the supervisory mechanism had not been adopted that would have made of 2012 the most useless year in the EU ever since the Union has been under pressure to adapt to a dynamically changing world. But now, however, from the stands in the EU and outside of it can be heard loud shouts "we want more". 2013 will be the big test whether the EU can move forward albeit with small steps or will it get scared by the street pressure and will switch to rear gear. And first to set the tone will be British PM David Cameron. In January he is expected to make his first fundamental speech about Europe which we all anticipate. It will show us the way forward.